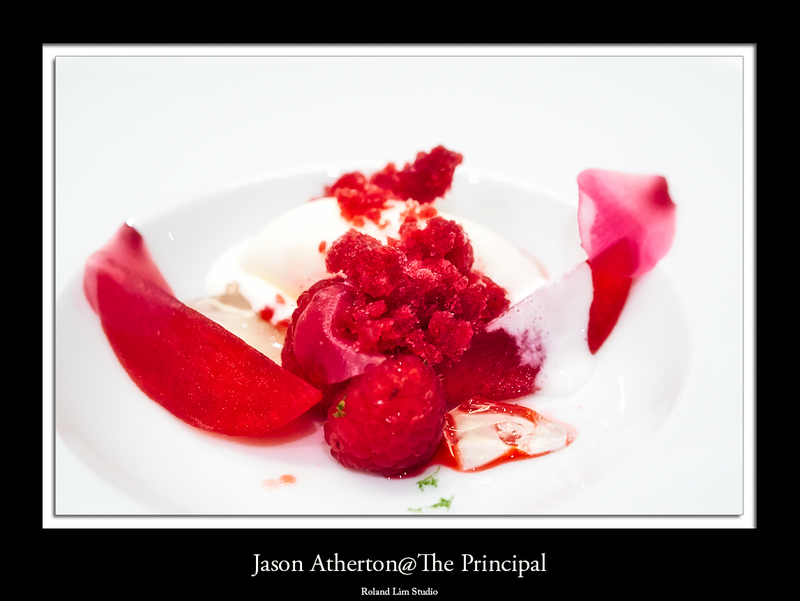 If you are my regular readers, you will know that The Principal is one of my favorite restaurants in Hong Kong. They have recently started a guest chef program. The plan is to have a guest chef doing a special dinner at The Principal every quarterly. 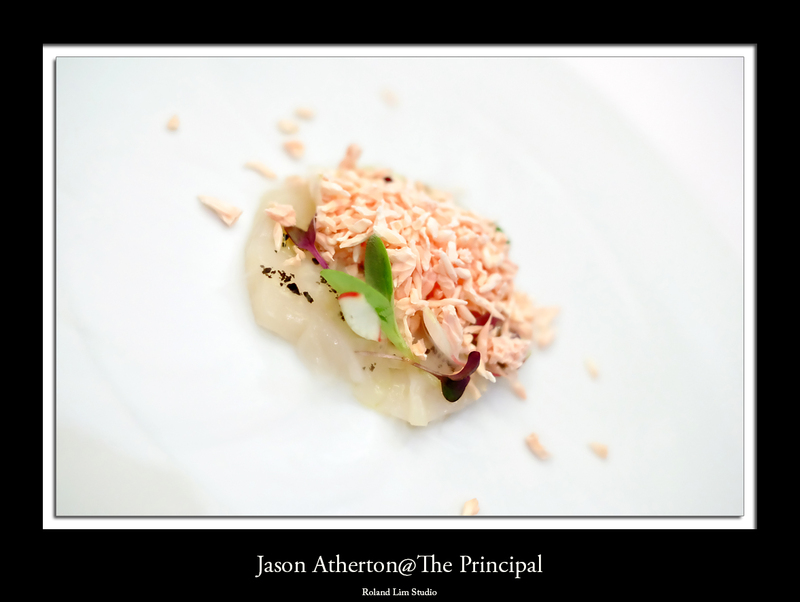 To start off with the program, they have invited Jason Atherton, who did a dinner at The Principal on 15th August 2013. For those who do not know who Jason Atherton is, he is an English chef. He launched his own restaurant company, Jason Atherton Ltd. in 2010. The company owns numerous restaurants in London, Shanghai, Singapore and Hong Kong. 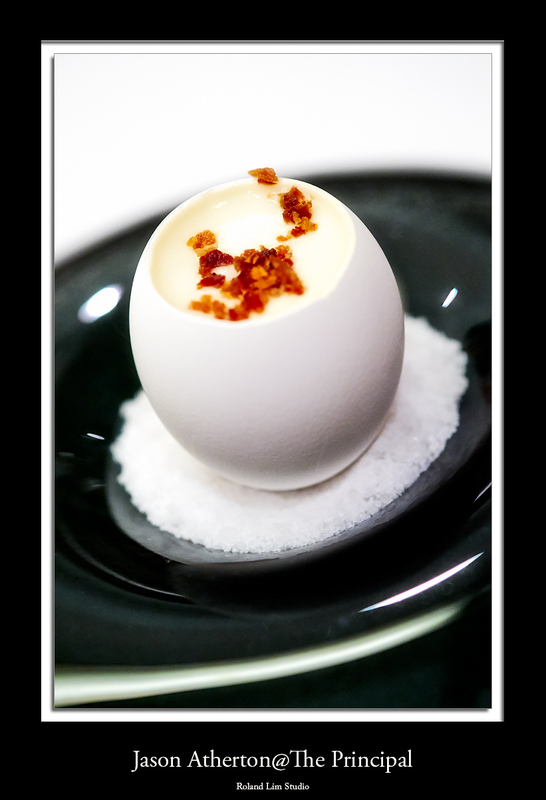 Jason Atherton was the first British chef to complete a stage at Spain’s famous elBulli restaurant in 1998. 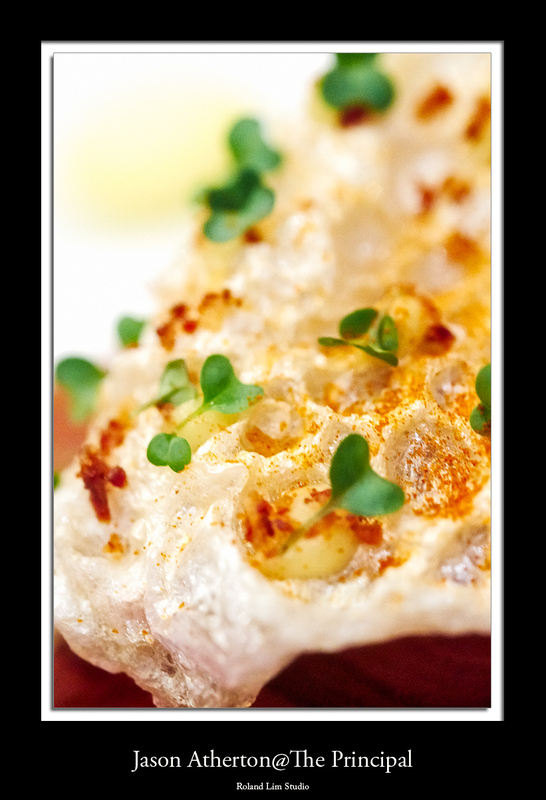 He has worked under great chefs including Pierre Koffmann, Nico Ladenis, and Marco Pierre White. His flagship restaurant Pollen Street Social in London, which opened in 2011, currently holds one Michelin star, which it gained within a year of opening. 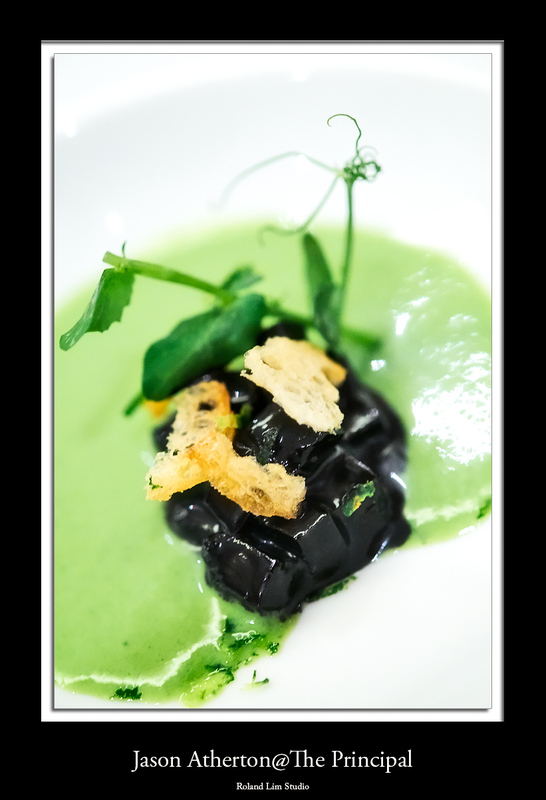 In 2012, it was named the best new UK restaurant by the Good Food Guide after it was ranked eighth on their list of the top fifty restaurants. 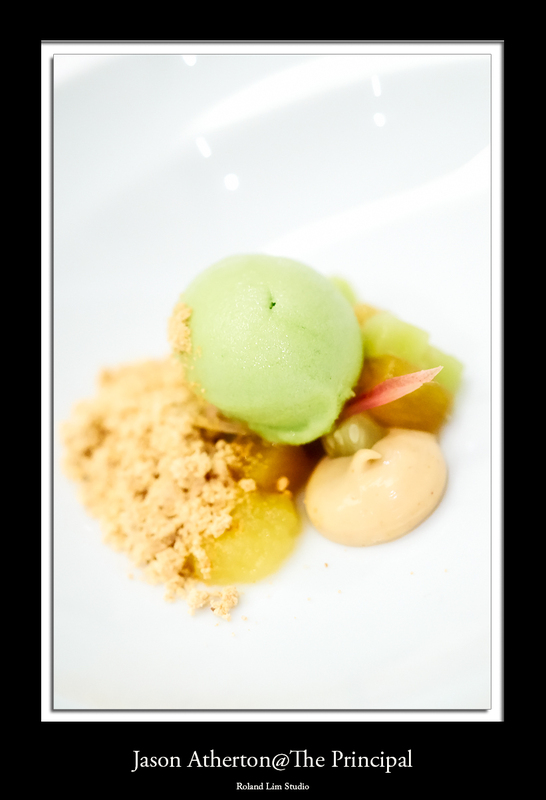 It has subsequently increased in rank to 6th overall in the 2012 list.Time Out named Pollen Street Social as London’s best new fine-dining restaurant in 2011. Anyway, back to the dinner at The Principal. Usually, guest chef program in restaurants I have been to before meant that the chef him or herself would come to the restaurant and cooked for one or a few nights. However, at this Jason Atherton dinner, I was quite impressed that Jason actually bought in 5 members from his team to join him for the night. Basically, every course were served and explained by either Jason himself or one of the team members he bought into Hong Kong specially for this event. Understandably, it was a very busy night as the restaurant was fully packed with guests. However, Jason was a very nice person and he seemed to have found time to have at least a short chat with every table. When I asked to have photos taken with him, he was very kind and obliged with my requests. As for the food, I was very impressed and liked most of the dishes. 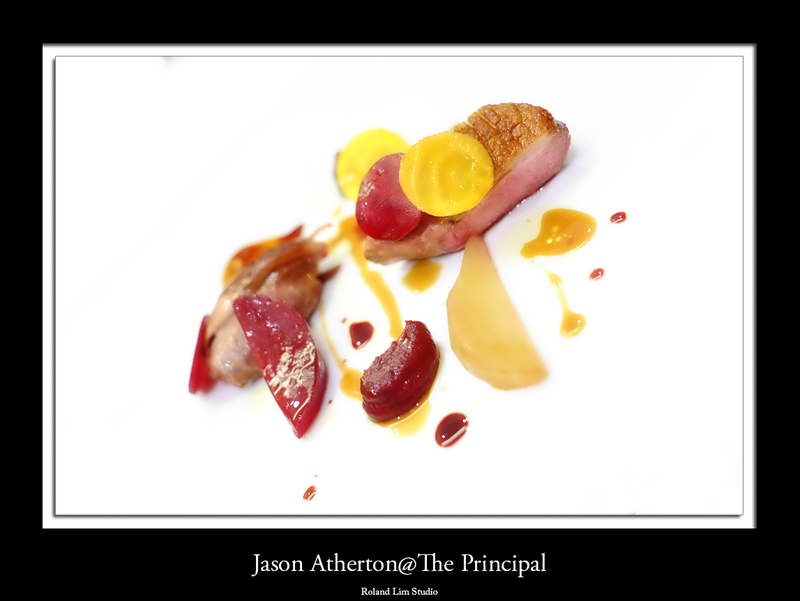 I really appreciated Jason’s creativity with the dishes and his use of ingredients. He bought in fresh ingredients from UK which you normally would not find in Hong Kong like fresh Scottish scallops and live Scottish blue lobster. Overall, it was a very enjoyable dinner and evening and our table all had a really good time. All photos were taken with either Fujifilm X-Pro1 and X-M1. I loved the pork scratching. It is a very English snack and comfort food. Really reminded me of my school days in England. Of course this pork scratching was much nicer than those out of a bag from a supermarket In England. Much lighter and with a complex flavour. A tiny chilled soup as amuse bouche. Nice! This dish is very representative of modern British chef dish. Something that reminds you of what you eat everyday, but with a nice twist! This was one of the best 2 dishes for me for the night. The scallops were from Scottish water. So sweet and full of flavours. The texture totally melts in your mouth. Another level above the ubiquitous Hokkaido scallops that you most often find in Hong Kong. The pink grapefruit frozen in liquid nitrogen at the table by Jason himself brought a bit a drama to the dish and complimented the scallops well. This dish was the other favorite for me for the night. The most common blue lobster you may encounter in Hong Kong is usually from France. Scottish is definitely not the usual kind. 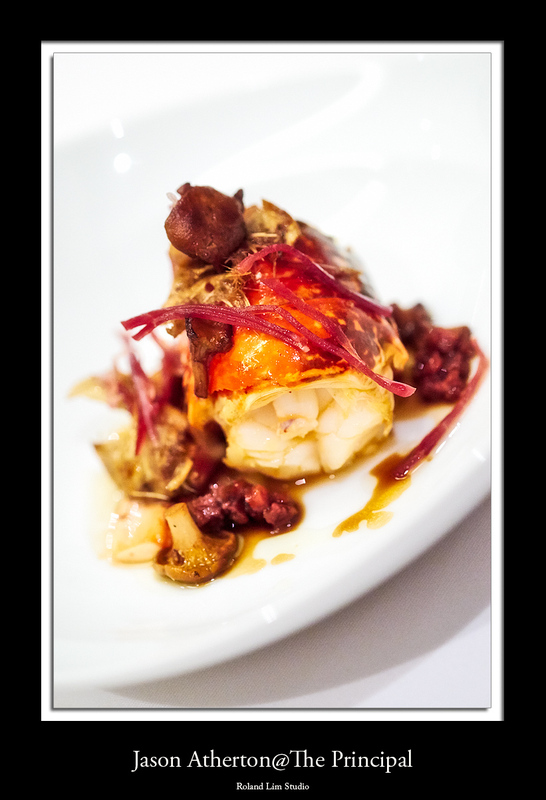 Although there may not actually be a huge bit of difference in taste, but the lobster was totally fresh, as it was a live lobster before cooking and the lobster taste was so strong. The texture was cooked to perfection. Love the yoghurt ice cream, strong yoghurt taste. Just wondering what is the difference between yoghurt ice cream and frozen yoghurt?